Today, in the studio we had our first jury experience. It was very educational for me in the sense that I get exposed to different ideas and views about possible design proposals. Being able to see how other designs are perceived and learning how to properly give criticism to people was informative. Main points of my jury experience were that I didn’t experiment much and how setting rules to that design problem’s solution do not make it any more functioning. I had some controlling elements which bring organization to my model and it did fulfill the expectation of the first jury. However, the repetition of ideas was too saturated. I used the concepts that I learned from the course but I could have used them more. The jury experiences are very important in the sense that You can get both the views of architects who are familiar with your project and from architects that see your design for the first time. In this assignment, we were asked to study the relations and their variations through planes and lines. Working through physical models and drawings at the same time really helped with the overall design of the constructs. As the first stages of the assignments, we had very specific requirements to fulfill like down to the exact dimensions of the planes and lines. This helped us narrow down the decision-making process in order to start designing efficiently. We did not yet attempt a more complex assignment where there are lots of design problems and design parameters to control. Therefore these assignments are very well designed in the core that these basic assignments still hold their significance and challenging problems are still creating learning environments and discussions on how things are done in the studio. The main goal of this assignment, in general, was to open new ways of discoveries. Below are the first attempts for the next steps which go to a more complex design problem every time. But because we learn as we go, each assignment kept its difficulty. In order to solve this problem, On/Off-grid assignment is designed to break this limiting factor and change the perception about the usage of the grid during the design process. Grid is a tool that makes a design coherent when used moderately. Breaking the grid system and sometimes obeying it, can improve decision-making. When deciding the positioning of the elements, using a grid system suggests possible good solutions. Although this helps when designing, excessive use of this will result in designs where the possible relations aren’t thoughtfully discovered. As for the first step of this assignment, we were supposed to generate a grid system where the intervals between the lines were a design concern. While doing this I decided to choose small intervals which was 1 cm in x & y. This created problems for me during the next stages of this assignment where I had many elements in terms of the grid structure and in terms of the number of points I had to control. Other possible proposals had much bigger intervals which resulted in much fewer points and lines to control. Choosing a bigger interval would have been wiser for me. During the second step, we placed a tracing paper over the grid we produced in the first step and tried to discover the potentials of this grid system. Using the operations, cut&paste and move, we tried to break the alignment and study the non-alignment condition. For the third step adding new points were introduced but because I already had too many elements, considering the small intervals, I had difficulties controlling the design. I read the handbook of studios. It claims that studio is our living environment. We should use the studio anytime. 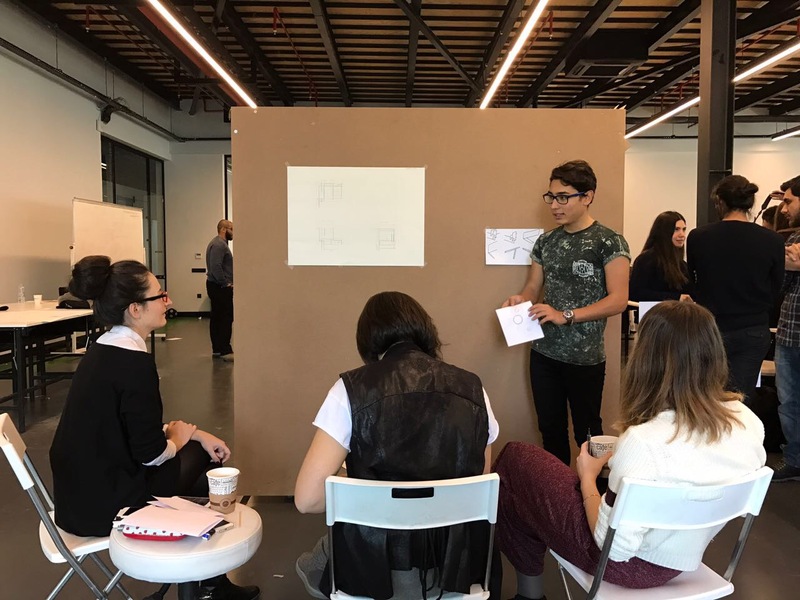 Studio is somewhere that we can contact with our classmates and discuss our works freely so that we can learn many things from each other and also our lecturers. If we make mistakes and see our mistakes, we can learn many things from them and we can discover what we should do but we should know that there is not one true answer about designing. Anything can be changed according to a person’s opinion. In architectural education, we should change our perspectives in some way and maybe we should focus on what people don’t focus. There are some missing steps like analyzing that we are not using very commonly but we should learn them and use them also in our education to create things more effectively. And this handbook is full of useful information about the studio environment such as what are the critics and juries. It helps us to get used to architectural education and studio time and also we can check it anytime we want to have more in our minds. Ersan ilktan Powered by WordPress.com.